Welcome to the wonderful world of ClassDojo! ClassDojo has really changed the way I manage my junior classes. I highly recommend it to any teacher, both primary and secondary, particularly if you have difficult classes or students who struggle with school and behaviour. Read on below to find out more about this great tool and how I use it in my classroom. While I've been off mothering my adorable tiny human in 2017, ClassDojo have introduced some awesome new features. Stay tuned for updates throughout 2018 as I get to use some of the new features now I'm back in the classroom! 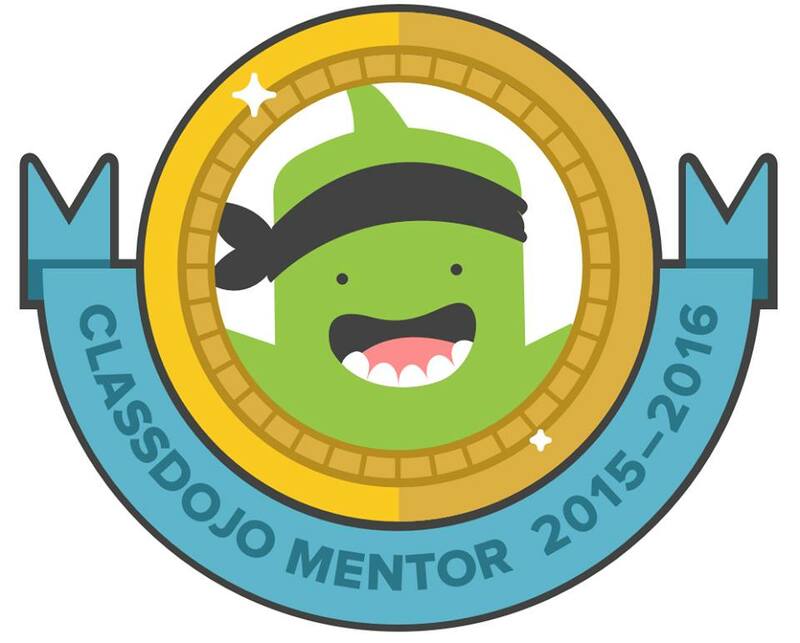 I was lucky enough to be made a ClassDojo mentor for my school in 2014 and it has been one of the most rewarding and engaging experiences! I'm also a part of the beta app testers group, which allows the Dojo team to gain valuable information about new features tested by real teachers prior to releasing them to the public. 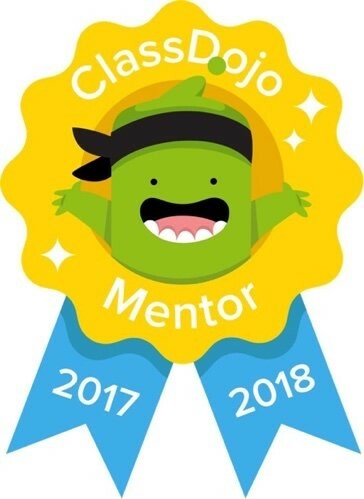 The ClassDojo team is incredible, they are so helpful and so keen to make Dojo useful, engaging, easy-to-use, and teacher friendly; nothing is too much trouble! The mentor Facebook page is full of amazing, passionate teachers sharing ideas and resources. Check out the ClassDojo Community group on Facebook, which is also a great place to meet fellow Dojo users and share ideas and resources. My junior classes have weekly homework to complete by the end of the week that I ask parents to sign off on. We also set goals at the beginning of each week based on each student’s individual ClassDojo percentage from the week before; these are recorded in their Homework Journals so parents can see if their child is meeting these goals. At the end of the week students receive points for completed homework, journal, and spelling, and lose a point for anything incomplete. You can use the 'random' function to select a student at random. This is also an EDI (Explicit Direct Instruction) strategy, which is a component of my school's pedagogical framework, but it's a great feature for any teacher. The 'timer' function is great for short activities. I usually have CD projected on the board during the lesson, so I set the timer as a visual reminder to stay on task. With ClassDojo Groups you can group students any way you like: reading groups, groups for activities, house groups, you name it! Students can be in multiple groups and teachers can easily award points to whole groups or individuals. It's great for encouraging teamwork and makes awarding points a lot easier in group situations. ClassDojo is accessible through the website, and via the iOS and Android apps that parents can download to their mobile device. At the beginning of the year I send a letter home with all new students containing parent codes and general information about ClassDojo. I offer bonus points for any students whose parents sign up within the first two weeks of the year, which is a great way to get everyone on board quickly. If they'd prefer not to sign up that's completely fine, but I really encourage them to as it makes it so much more exciting and motivating for the students and they'll receive important reminders and updates through the messaging feature. If a parent hasn't signed up and I have to ring home about their child's behaviour, I encourage them to sign up and give them their code over the phone. 9 times out of 10 they sign up straight away! Class Dojo is an online behaviour management tool to encourage positive and discourage negative behaviour. It’s used in many primary schools, so you may already be familiar with it, but it's used all over the world for all year levels. I’ve found it most effective with junior (Years 7 - 9) high school classes. Best of all it's FREE! Students gain positive points during each lesson for displaying positive behaviour, such as lining up properly, participating in discussions, helping others, putting their hand up before speaking, teamwork, handing assessment in on time, being on task, and coming to class prepared. They also lose points for inappropriate behaviour, such as being off task, leaving the room without permission, using inappropriate language, being disruptive, talking without their hand up, and not coming prepared. At the end of the week we check the percentage of positive points that we've achieved as a class and as individuals to see if we've met our goals. Students who finish with a percentage less than 90% will have a lunchtime appointment with me in the following week; if this is a continuing issue then I contact parents to discuss further strategies. Percentages are viewed weekly, so students have a change to start over fresh each week. Students also have the opportunity to 'Level Up' by gaining points and reaching certain milestones. Once they reach a certain amount of points they can spin the Prize Wheel for that level and win a prize such as a 'no homework' pass, a treat, something from my special Prize Box, teach the class something, or their choice of seat for the week. I also appoint a Dojo Master each week. Every student in the class will have a turn, so this isn't based on their points or percentages. This student is my helper and gets to use our class iPhone to help me take attendance and award points to the class. The kids take this job very seriously; they love being involved and trying to 'catch' other students doing positive things so they can award points. I find that ClassDojo has really helped to create a positive and encouraging classroom culture, and the kids enjoy the chance to receive positive feedback. Having the app projected onto the board periodically throughout the lesson also encourages students to strive to do well and discourages less desirable behaviour. It also introduces an element of competition as students can see who’s beating them in points and how many more points they need in order to move up to the next milestone. One of the really great things about this platform is that it allows parents to also be involved and reinforce positive behaviour at home through accessing their child’s report. It allows them to view the types of points being awarded to their child each lesson, see their overall report for the week, and it is completely private. I'm able to add comments each day in relation to points and the general behaviour of individual students. A fun new feature, Class Story takes parent communication to the next level! It's similar to a social media "wall" but completely safe and private. Teachers can post updates, photos, and more to keep parents in the loop, and parents can view, "like," and comment on them. Only parents and teachers connected to the class can view Class Story. Students can also access their account to change the look of their avatar and see their points, which really helps them stay engage and boosts their motivation to do well. I send home a letter outlining my use of ClassDojo, as well as access codes, at the beginning of the year. Students cannot see messages or comments communicated between parents and teachers from their student account. Finally, one of my favourite features of Class Dojo is the ability to send messages and photos to parents through the app. I really encourage as many parents as possible to sign up and utilise Dojo, particularly the messaging feature, as I often use it to send out general class information, reminders, and homework and assessment information, it also makes a huge difference in student behaviour if most of the parents are signed up. Check out the ClassDojo Community Facebook page to connect with other teachers using Dojo around the world. It's a great place to share ideas, resources, best practice, and generally collaborate. Check out my TeachersPayTeachers site to see some of the resources I've created to use with ClassDojo. 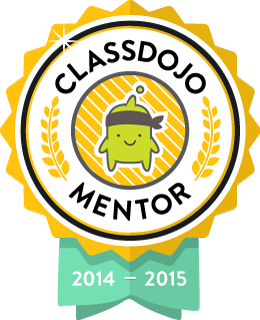 Check out the results of my 2015-2016 Parent survey on ClassDojo! Click this link to visit my SurveyMonkey results page and see what parents have to say about using ClassDojo.